In 2007, I was factory trained by a leading manufacturer of walk-in bathtubs to install and service their products. 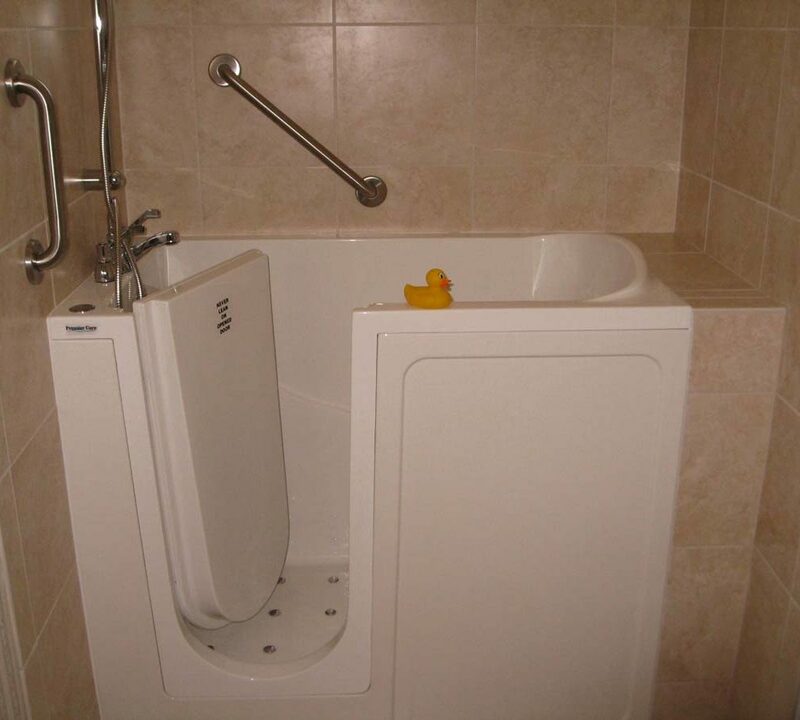 Since being involved with walk-in bathtubs, I have realized a growing need for special needs bathrooms solutions, and have focused my business toward fulfilling these needs. 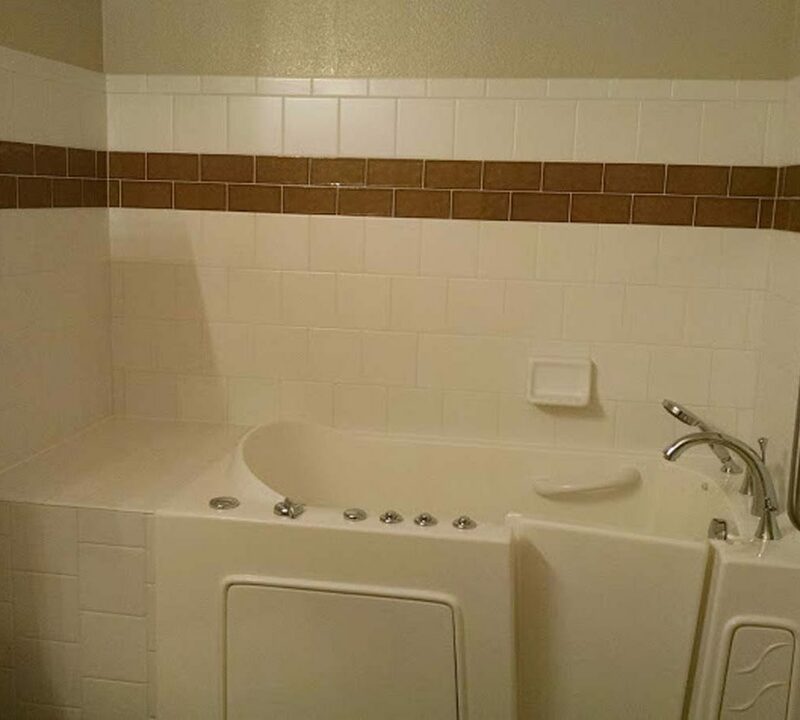 Everything from installing grab bars, to complete bathroom remodels, with walk-in bathtubs. 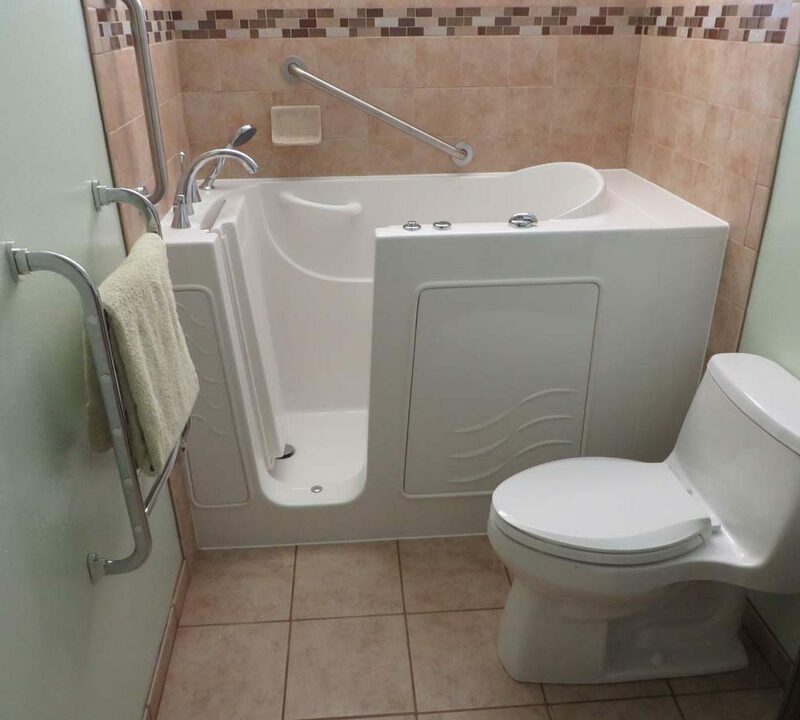 If you are ready to enjoy the benefits of your own walk-in bathtub, please give me a call. 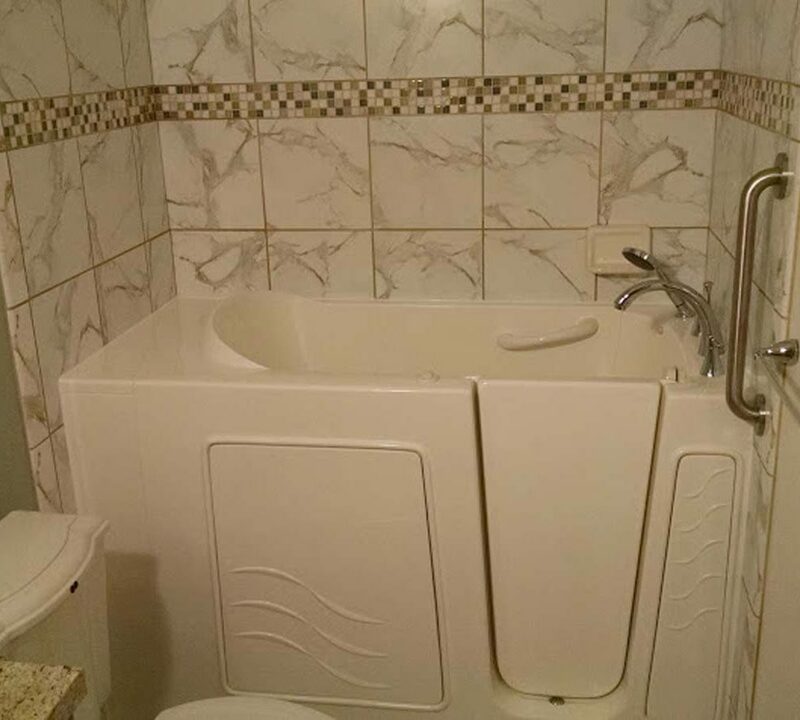 I will be happy to provide you an in-home consultation to survey your project, and assist you in ordering the walk-in bathtub best suited for your needs. Jim Draeger (Draeger Designs Bathroom Solutions) did a fantastic job. Jim took everything in stride, addressed all the problems we had (the floor not being level, deceased rodents in the walls), and did a beautiful job with the new tile. He certainly left everything clean and neat each day and always cleaned up before he left. Jim is most definitely a craftsman blessed with many skills and talents, with a very strong work ethic. Jim was very patient and explained each phase of the project as it progressed. He also finished the work in a timely manner. I would not hesitate to recommend him in the future. This tub has been a god-send to me. 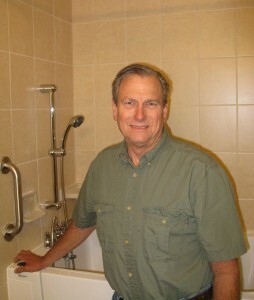 I am a post-polio patient and the tub has increased my circulation and mobility. Definitely has changed my life for the better. I live near the water and the weather can get very damp here which causes a lot of stiffness – this tub has eradicated a lot of these problems. The tub is now installed and we have been able to use it. The tub is marvelous, so worth the wait and (gasp) worth every penny! The tub was installed by James Draeger (Draeger Designs)… Jim is a true artisan and we just cannot say enough in praise of his work. He was always punctual, always nice to be around. He gave us a bid on the amount and did not go over that, even though he encountered problems we had not envisioned, with no complaint. Every day, when he left, he left the work area clean and neat so that we could use the bathroom with absolutely no problem. When he completed the work, he left the entire area clean and pristine. He had removed all the waste as his work progressed. He is clearly a craftsman with high ideals, devoted to the work…My husband and I recommend Jim totally, without any reservation. Jim Draeger of Draeger Designs Bathroom Solutions…just completed the installation of our new walk-in bathtub…We are very pleased and completely satisfied with his work, and the result is that our bathroom looks great and the installation of the tub and the surrounding tile work was done exceptionally well and with full attention to detail. He had to add an electric circuit for the power drain and also had to relocate the position of the drain pipes. Besides being highly competent, he is also a pleasant person and we enjoyed the interaction with him on this project.